Spotify again put a humorous twist on user data to open a window into pop culture last year. 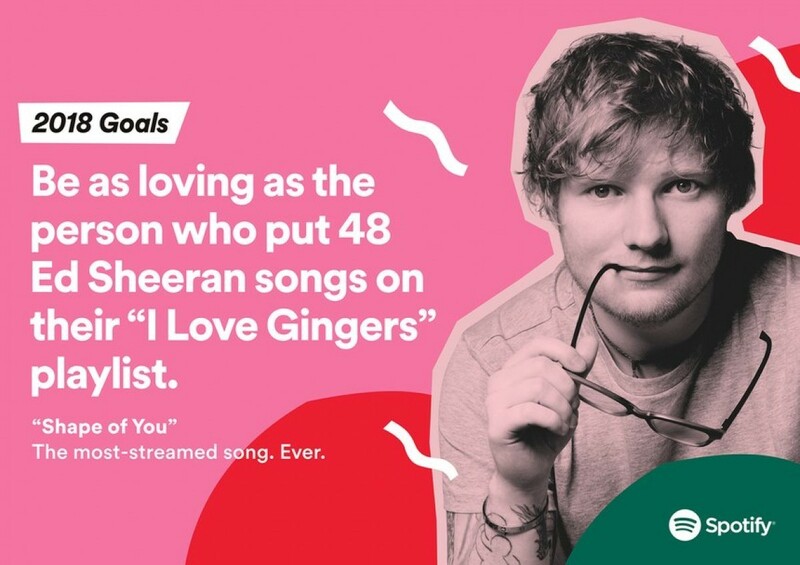 Users most embarrassing listening habits were displayed on giant billboards in this cheeky global OOH ad campaign and artists including Ed Sheeran, Niall Horan and Sam Smith were also included. The work was completed in-house by Spotify’s brand and creative team. It began with a box. An Amazon box, specifically the largest in the company’s history. 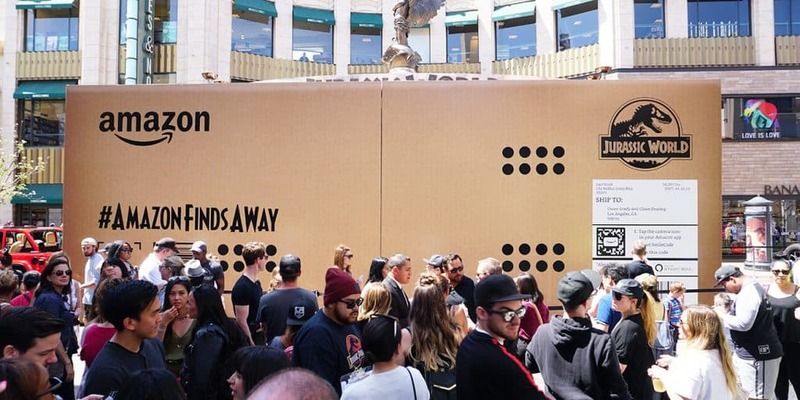 Delivered to Los Angeles on May 29, the mysterious pastel was trucked around the city on a flatbed drawing attention and social media posts wherever it went and boasted the ultimate 2018 call to action “Alexa, ask Jurassic World what’s in the box?” With air holes, a 16k payload and a Jurassic World logo,the project involved a wide range of complementary partnerships all leading up to the reveal of a T-rex statue at shopping destination The Grove in L.A. 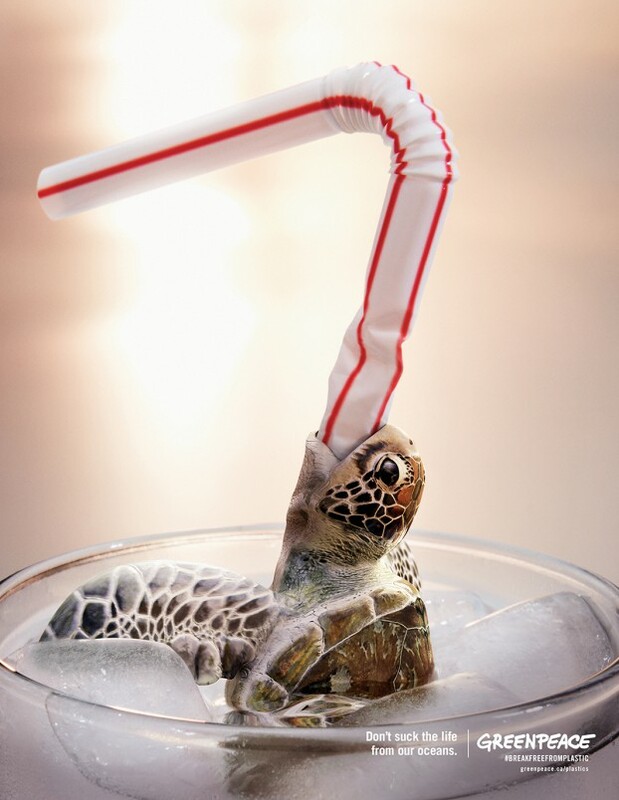 The debate over the destructive role of single-use plastics on ocean life reached critical levels in 2018, with major brands including Starbucks, McDonalds and Royal Caribbean all pledging to phase out plastic straws. These strong, unforgettable images from Greenpeace Canada bring front and centre the huge issue of ocean plastic, although Greenpeace Canada looks to draw attention to the ill effects of throwaway plastic in general, including lids and cups. Truly something to consider over your next iced coffee. A quintessentially American company – Nike has a long history of creating strong global advertising campaigns, but in early 2019, Nike took a much more local approaching. The big brand’s Nothing Beats A Londoner campaign was met by lavish praise by both critics and consumers in February of last year. It was incredibly powerful, and here’s why. 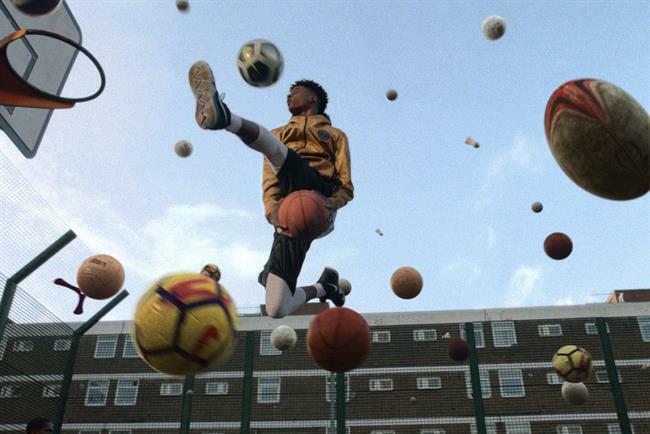 Instead of using sporting celebrities as their source of creative inspiration, the three-minute film celebrates the determination of kids from the capital despite the toughness of training in their respective boroughs. Iconic fashion brand Lacoste launched a limited-edition polo collection in 2018 where threatened species held the crocodile’s usual spot. 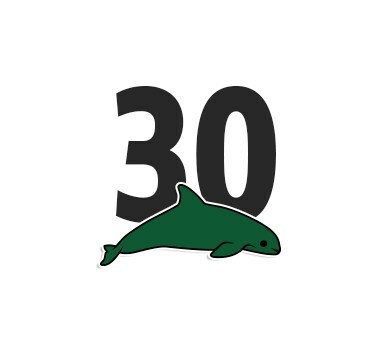 The number of polos produced for each series corresponded to the remaining population size in the wild. 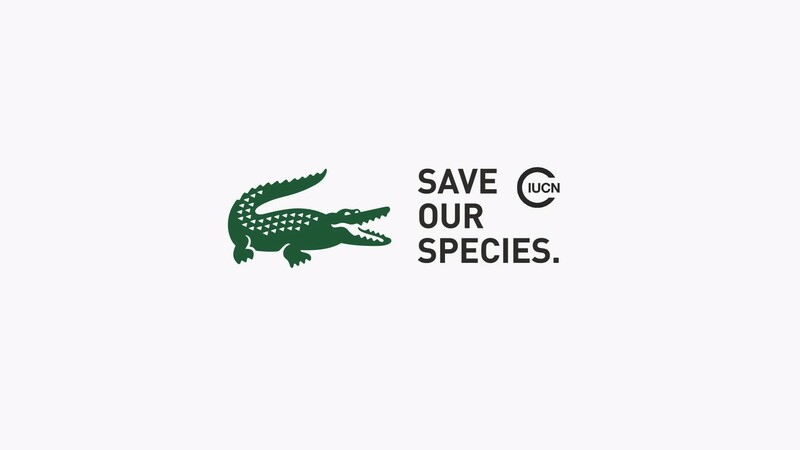 In Partnership with IUCN, Lacoste hoped to raise awareness of wildlife conservation efforts worldwide. If you require an agency to develop a creative ad campaign to get your brand the attention it deserves in 2019, contact CuCo on 01202 911959 – we’d love to help!